Hotels.com, the world's leading hotel booking website, has launched two new smart phone applications for iPhone and Android phones. The two new applications, available in over 30 languages, allow travellers to search and book more than 20,000 accommodation deals from over 135,000 hotels around the world. 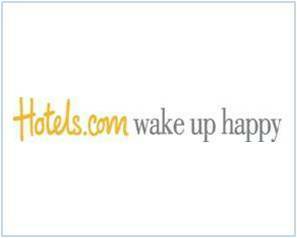 The apps act as an extension of the Hotels.com website, allowing travellers to log in as either a guest or they can create a Hotels.com account from inside the app to begin researching accommodation options, browsing two million user reviews, accessing hotel deals and booking and managing their accommodation choices. The "sign in once' feature, which applies to both apps, automatically remembers previous users' log in details so that travellers needn't worry about logging in each time. Even without a data connection, all past and future bookings can be accessed displaying a hotel address, phone number and map with just one touch. "Asia-Pacific is by far the fastest-growing mobile market in the world with IDC expecting smart phone shipments to hit 137 million units in 2011 in Asia Pacific alone. More and more travellers are using their smart phones to browse and book hotels," Johan Svanstrom, Vice President and Managing Director of Hotels.com Asia Pacific said. "Hotels.com is capitalizing on this growing trend of mobile hotel bookings and the two new Hotels.com mobile apps will make it even simpler for our customers to find their ideal hotel quickly and easily. The new Hotels.com apps also make it even easier for frequent travellers, who can conveniently book last minute or when they are on their trip already." Hotels.com reveals global insights about breakfast habits!